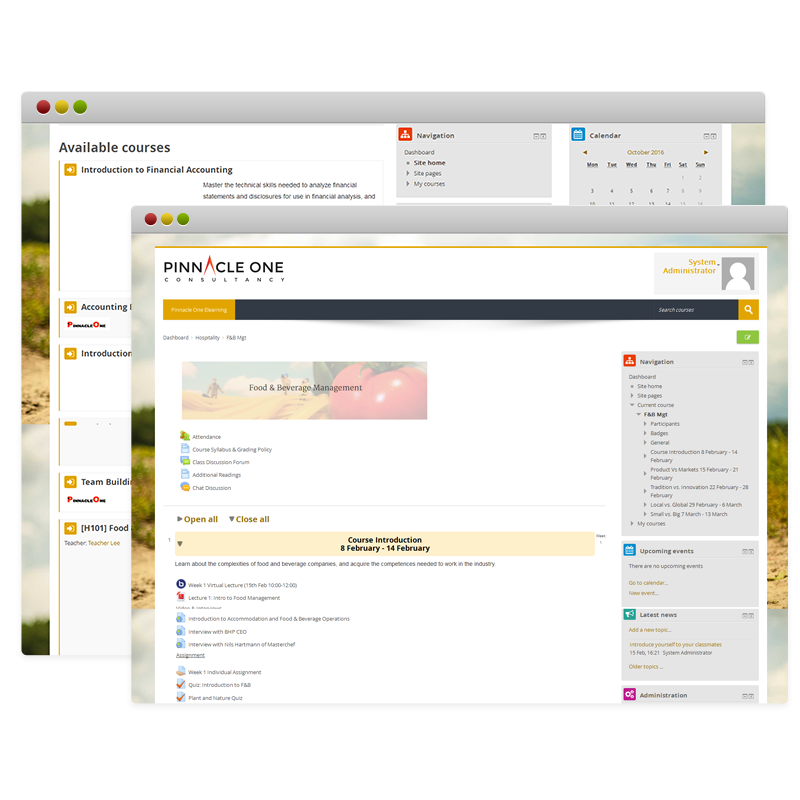 Pinnacle One eLearning enables educational institutions such as private schools and universities to facilitate learning from virtually anywhere. Consolidate your educational contents, learning modules and materials all onto one platform that can be accessed anytime. Offers ability to conduct real-time online classes, webinars and deliver training courses seamlessly along with the facilities and features to administer and monitor them. Multiple ways to create assessment. Automated test scoring saves time and effort for the teachers. Virtual community of students and tutors can be created. Communication can be done via online chats and various discussion/message forums. Developed on Moodle eLearning platform, one of the most widely implemented elearning solutions in the market.